What I find exceptionally interesting about this video is how it ties "left" and "right" together. The Senator is viewed as conservative to my knowledge. Yet his primary theme in this video is exactly the theme of the ACLU's Call to Courage report about the state of American civil liberty ten years after the attacks of 911. The ACLU is by most accounts a liberal organization. In his video, the Senator also mentions the outstanding dissent by Justice Antonin Scalia in the Hamdi v. Rumsfeld case. What he doesn't mention is that Justice Scalia's dissent was joined by Justice Jean Paul Stevens. Justice Scalia is considered a very conservative justice, perhaps the most conservative. 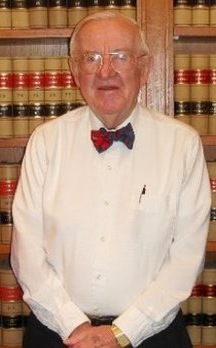 Justice Stevens, prior to his retirement from the High Court, was considered a very liberal Justice, perhaps the most liberal. Despite those labels, these two great guardians of America's Constitution, perhaps the last defense of America's soul, joined together hand in hand. I find such a union to be very patriotic, and very inspiring. It's a crazy concept I know. What's more crazy is that concentration camps existed in America during the second world war. But I'm getting ahead of myself. 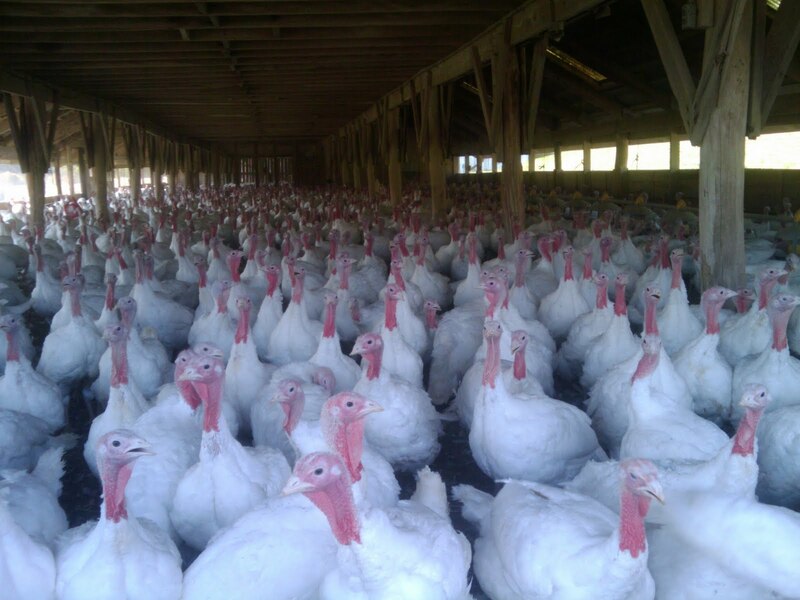 First we really must talk about happy turkeys, or what has been called the parable of the happy turkey. In the morning, a nice man comes for a visit. He puts food in your bowl. The food is fresh and tasty. The food is always in plentiful supply. At night there's a warm place to sleep. The next day, the process is repeated. The nice man visits, he feeds you, and you sleep comfortably. It repeats day after day. You think: everything is right with the world. How could anything possibly go wrong? In fact, the only thing I really have to fear is getting hit by lightening when it rains or the rare chance a fox might get under the wire and into the coop (which very seldom happens). The Turkeys that worry about this are pessimists. One day, the nice man arrives. The nice man grabs you. He lays you across a stump, your neck exposed. He raises an axe and cuts off your head. There is a valuable yet sad saying that those who do not know history, are doomed to repeat it. Valuable because it's true. Sad because it's typically only said after tragedy. I suspect the happy turkey's concept of history consisted only of his own limited experience, I doubt he knew anything about Bainbridge Island. But again I'm getting ahead of myself. First we must talk about a man named Gordon Hirabayashi. There was a time when I felt that the Constitution failed me... But with the reversal in the courts and in public statements from the government, I feel that our country has proven that the Constitution is worth upholding. The U.S. government admitted it made a mistake. A country that can do that is a strong country. 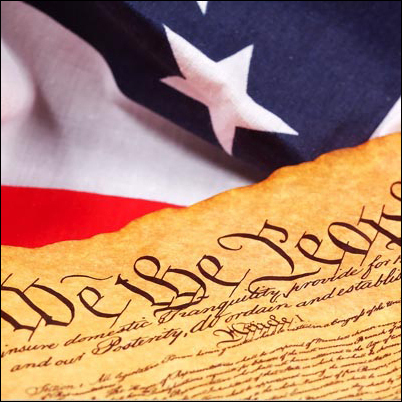 I have more faith and allegiance to the Constitution than I ever had before. Mr. Hirabyashi was of course terribly wrong on one point. The Constitution did not fail him. Those who swore to defend that Constitution against enemies foreign and domestic failed him. The military soldiers who rounded up American men, women, and children during that war to send to internment camps, no doubt took comfort in the idea that what they did had to be legal because the order came from the very President himself. That order was no doubt vetted by the President’s team of clever lawyers. But such lawyers do not make or decide the law. Those military servicemen should have known, and more than likely did, that the order they were following was patently illegal. The first Americans forced into internment camps were taken from the Bainbridge Island, just west of Seattle and the University of Washington campus Mr. Hirabayashi attended. Recently I visited a memorial museum on the island and there I met an older man who gave me a tour of the displays and explained the camps in great detail. Hours later I discovered that he was born in one of those camps. I learned still later that after he grew up, he served in the United States Air Force and was stationed at Holloman AFB. He told me that his grandfather was also imprisoned in a camp, and that his grandfather had worked his entire life to buy a hotel in Seattle. Once ordered to an internment camp, he had to sell his hotel quickly as he had only three days to give himself up. He sold it to a man with the mutual understanding that he could buy it back if he made it out of the camps. The owner refused to sell when that day came. The livelihood he had sacrificed for his entire adult life was stolen from him. His hard earned career was sacrificed. Why? Because those who he paid to defend his freedom--the very same men who swore before God that they would do so--didn't have the character to do what they promised. The bill has already passed the House of Representatives with a vote of 322-96. It's now just waiting on the Senate to pass it. It's being looked at by the Senate right now, and may pass and become law at any moment. UPDATE: Apparently the bill is being voted on right now in the Senate, and has a majority - three no votes are needed in order for there to be a filibuster. UPDATE II: The bill passed both House and Senate. Text of the bill here. There is quite the debate - some say the vague language of the bill does not extend to American citizens (which begs the question of why we need that portion of the bill), while others like U.S. Rep. Justin Amash (R-Mich.) who voted against the bill in the House, think differently. Amash says the act would indeed “permit the federal government to indefinitely detain American citizens on American soil, without charge or trial, at the discretion of the President.” He notes that the language “does not preclude U.S. citizens from being detained indefinitely, without charge or trial, it simply makes such detention discretionary,” therefore it is misleading and outrageous. I would also say that if you believe in something, if you think the Constitution is a good one, and if you think the Constitution protects you, you better make sure that the Constitution is actively operating... and uh, in other words "constant vigilance". Otherwise, it's a scrap of paper. We had the Constitution to protect us in 1942. It didn't because the will of the people weren't behind it. Below I have included video of a stage play titled, Dawn's Light: The Journey of Gordon Hirabayashi. The creators of the play describe their creation: "During WWII in Seattle, University of Washington student Gordon Hirabayashi agonizes over U.S. government orders to forcibly remove and imprison all people of Japanese ancestry on the West Coast. As he fights to reconcile his country's betrayal with his Constitutional beliefs, Gordon journeys toward a greater understanding of America's triumphs and failures." The key word in that description is betrayal. More Big Blue Pink Slips for Officers? The Air Force has taken some pretty interesting personnel measures as a result of the debt crisis. Those measures included an unpopular voluntary separation program, and denying continuation to majors twice passed over to the rank of lieutenant colonel (essentially booting officers out five years prior to retirement), and by numerous Reduction in Force boards for younger officers. The Air Force Chief of Staff, in the video above, mentions the challenges of reductions in force experienced after Vietnam. Still short of its goal, the Air Force turned to the twice-deferrcd captains continued on active duty before that program ended, a group the service had carefully avoided. The officers selected for continuation during the first three years of the program (1963-1965) had received contracts sufficient to take most of them into the sanctuary zone (over eighteen years of service) that guaranteed retention until retirement at twenty years. Those selected in the last few years of the program (1966-1968) had no guaranteed contract beyond one year, but most accepting the offer probably believed that the war would last long enough for them to reach sanctuary. The announcement that all continued captains with less than eighteen years of service would be eliminated brought a hail of protests, as well as some lawsuits. Groups supportive of Reservists filed formal protests on their behalf. Nevertheless, James P. Goode, Assistant Secretary of the Air Force for Manpower and Reserve Affairs, ruled in favor of the termination order, and about nine hundred continued officers were separated before the end of fiscal year 1970. Another three to four hundred in the sanctuary zone remained until retirement. He continues to remark that for the next three years, voluntary programs allowed the program to reduce numbers without involuntary mechanisms. According to Mitchell, at the end of 1973 the Air Force was down to 114,000 officers, significantly less than the 138,000 officers it had in 1968. Question for the peanut gallery: Do you think we're going to see the Air Force go even further beyond the personnel actions in 1970 by giving the boot to passed over majors who have been continued (offered and accepted continuation, with a corresponding date of separation)? Will the service kick out continued majors after fifteen, sixteen, or seventeen years of service? Just saw this today. Not exactly sure what to think of it, and I'm not talking about the protestors and their merits or lack thereof. I'm just wondering if something hasn't fundamentally changed with our military when those in uniform are making public statements to citizens like this, while in uniform and armed. Is it appropriate for government servants to be making such statements about their fellow citizens who employ them? Like the protestors or not, they employ you, and they are exercising the very rights they pay you to defend. Certainly those in the service have free speech rights too, but there are limits and I wonder if this doesn't approach one of them. With army soldiers rapping about using violence against a citizen, and officers discussing dropping bombs on protestors, to this picture of armed public servants telling their civilian bosses to quit bitchin', I have to wonder if there isn't a problem with military servants knowing their role in this thing we call democracy. So does it seem odd to anybody else that employees are telling their bosses who pay their salaries to quit bitching, while their bosses' bitching consists of exercising a freedom that they actually pay these troops to support and defend? Or is it just me? Today is Veterans Day. Many thanks will be passed to those who have served their nation in uniform, and offered to those who currently wear the uniform. Citizens who pay our bills and feed our families will be compelled to present their gratitude to us. Some will do so out of sincerity, and others out of a sense of obligation. Men will offer up reasons why they weren't able to serve, perhaps wrestling with some feeling of guilt, and still many others will tell us of a son or a daughter or a sibling who serves. Veterans Day is an emotional day for all involved. Veterans Day provides an opportunity for those of us currently serving, to look to those who came before us, and to ask ourselves if we are meeting the standard of service they set. The old lady in the line at the local Wendy's doesn't thank us because she knows what we have done, or how we have conducted ourselves. She thanks us for the ideal we represent, and the character and conduct she pays for each and every year the tax bill rolls around. I would suggest that we need to make sure we spend today, not complaining about thanks we didn't receive, but reflecting upon whether or not we truly deserve it. I look to the greater generations who served before us, and I am not sure I can honestly say I deserve such thanks. I didn't spend a cold winter under Washington fighting redcoats, I didn't participate in trench warfare in a World War, I didn't fly helicopters over the dangerous jungles of Vietnam. While war will always remain ugly, and while I did ensure I would be in the fight after September 11th, still I can't say that I have measured up with my contributions. The reality of our technology today is that most of us who currently serve - certainly not all but most - have not had to measure up to the standard of sacrifice set by those before us. We should remember that as we accept the thanks of a grateful nation today. We should be humbled. But it's not just about logging time in a combat zone. It's about our conduct back home. We should ask ourselves if we have conducted ourselves for the good of the citizen who pays us, or for the good of our own finances and convenience. 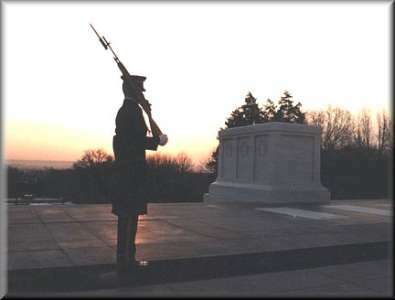 Do we serve because we truly love the principles of this nation, and because we want to defend the lamp on the hill, or did we sign up for a stable job and benefits? Are we willing to do the right thing for our country at our own personal expense, or do we labor to climb a ladder in order to satisfy our own pride through increased rank and power? Do we duck doing the right thing for the citizenry and rationalize our cowardice with the mantra of picking our battles, or do we take a stand for this country and let the chips fall where they may? Do we truly serve America, or do we really just serve ourselves? The old lady in line doesn't thank us for serving ourselves. I hope others will join me this day, to reflect on the emotional thanks she offers up to us, and to ensure that from this day forward, we conduct ourselves so that we truly deserve it. To the SCOTUS and Back in Time! Texas v White was argued before our nation's Supreme Court back in 1869. The case is being argued again tonight at the High Court, with Justice Antonin Scalia presiding. I'm fortunate to be able to attend this reenactment event sponsored by The Supreme Court Historical Society. The Union of the States never was a purely artificial and arbitrary relation. It began among the Colonies, and grew out of common origin, mutual sympathies, kindred principles, similar interests, and geographical relations. It was confirmed and strengthened by the necessities of war, and received definite form, and character, and sanction from the Articles of Confederation. By these the Union was solemnly declared to 'be perpetual.' And when these Articles were found to be inadequate to the exigencies of the country, the Constitution was ordained 'to form a more perfect Union.' It is difficult to convey the idea of indissoluble unity more clearly than by these words. What can be indissoluble if a perpetual Union, made more perfect, is not? Justice Chase then continued to conclude that, "The Constitution, in all its provisions, looks to an indestructible Union, composed of indestructible States. When, therefore, Texas became one of the United States, she entered into an indissoluble relation." What troubles me about his opinion is that it is exceptionally flimsy, as three letter phrased jurisprudence seems often to be (ie elaborate war powers unpacked from the mere title "commander in chief"). What's more, this flimsy phrase comes from the preamble to the Constitution, a preamble that briefly explains the purpose of the constitutional machinery that it later provides. The preamble, however, is not that machinery that it introduces. The law, the articles, and the amendments are the machinery and while the preamble explains motivations for creating those mechanisms, it is not itself a mechanism. Notably the machinery following the preamble does not mention secession, or a finality of union, or any of the conclusions that Justice Chase divines from his three lettered introductory phrase. What does follow, however, is the Tenth Amendment which states, "The powers not delegated to the United States by the Constitution, nor prohibited by it to the States, are reserved to the States respectively, or to the people." Secession is not a power discussed, and it is certainly not prohibited to the States, therefore the correct Constitutional result would be that individual States do in fact have a right to secede. Justice Chase for some odd reason felt that "It is difficult to convey the idea of indissoluble unity more clearly than by ["a more perfect union]." Certainly he was wrong, and the idea could have been better conveyed by an Article declaring that secession was prohibited to the States, and that union was final. It also appears to me, that even if we accept the phrase "more perfect union" to be the machinery of the Constitution instead of an introductory phrase, forcing individuals to remain in a union no more perfects a union, than outlawing divorce for a battered spouse perfects a marriage. A more perfect union, in my view, is better achieved by voluntary action and freedom of choice and conscience. Justice Chase appears to have believed that the barrel of a gun makes for a more perfect relationship. I'm looking forward to hearing this issue argued tonight, and I'm especially interested to hear how Justice Scalia rules on this issue raised nearly one hundred and fifty years ago. Update: It was a wonderful evening and the event was enjoyable but, sadly, three days of actual argument turned into forty minutes of argument for the reenactment, meant that the secession question was mentioned but not actually argued. I have been a long time supporter of the Military Religious Freedom Foundation, founded by Mikey Weinstein. While I've known him for years, I finally met the man today as he received an award from Americans United for the Separation of Church and State. I've been a supporter of both organizations for many years now, and I was delighted to sit at a table with a retired two-star, one of my former wing commanders, who was also in attendance along with several other active duty and retired military professionals. Mikey is a controversial figure and his aggressive style rubs some the wrong way. Be that as it may, keeping our military secular is an important endeavor in my view. What some might find interesting, however, is that I say that as somebody who does not agree that there is a wall of separation of church and state to be found in the First Amendment. I personally wish it was there, but I think it's important not to warp the text of our law to fit our wishes. The text has something to tell us, and it's not interested in what we might personally want. We must approach it with integrity. Of course reasonable people can disagree, and certainly do. Here is my take on it. The First Amendment says that "Congress shall make no law respecting an establishment of religion, or prohibiting the free exercise thereof;" After studying the history of the colonies and the States during the time of the founding, and the First Amendment, I have come to the conclusion that the Founders intended "an establishment of religion" to mean declaring an official religion of the United States. It did not mean a wall of separation. Chaplains opened up congressional meetings with prayer and, even after the amendment was ratified, Thomas Jefferson's home state of Virginia still had an official state church. There were other examples of religiosity in government that did not cause outrage. It should be remembered that this amendment only applied to the federal government and did not bind the States. That changed after the Fourteenth Amendment was ratified which then bound the individual States. Further, the word "establishment" suggests to me something concrete as to say something has been "established" like establishing a church, or establishing a business. Making religious speeches or hiring chaplains are acts of religion, but they don't in and of themselves establish anything, just as coming up with a business plan does not establish a business. I believe the Framers meant to keep Congress from passing a law to establish the United States as a Christian, or Lutheran, or Islamic nation. So why do I support the work of the MRFF if I don't agree with the interpretation of the establishment clause? There are two reasons. No religious test shall ever be required as a qualification to military service. When commanders and supervisors insert, or allow the insertion, of religious acts into the work environment, it becomes somewhat of a test. It may not be a multiple choice test, but supervisors and peers notice who is religious and who is not. People know this and will behave accordingly in order to not be seen as disrespectful or nonreligious. I have seen this behavior first hand and the fear is not unfounded. Some religious persuasions have a "with us or against us" ethic that can become damaging to the military institution. When mixed with the belief, held by some religious individuals, that American laws, to include our Constitution, are inferior to their perception of God's law, there then exists a potential for those in positions of authority to not follow the rules. In the extreme, this could threaten civilian control of our military. For that reason I agree with Mr. Weinstein's assessment that separation of church and military is a matter of national security. At the least, it is in my view, a matter of sound military policy. While all military members enjoy the essential and bedrock American right to freely worship, the Chief of Staff of the Air Force recently reminded Air Force commanders that the government must maintain neutrality regarding religion. He sent out a memo several weeks ago stating as much, according to the Air Force Times. The Chief's memo can be read here. The second reason I support the work of the MRFF is because mixing of the machinery of state with religion has an incredibly poor track record in human history, and the enemies we face and fight today have not very well learned that important lesson. They wish to establish theocracy, the antithesis to Article VI of our Constitution, and to destroy the liberty of conscience and the freedom of worship. It is dangerous to both government and religious institutions to mix the sacred and the profane. Just ask the American Baptist Roger Williams who founded the very first, First Baptist church in America, and who coined the phrase "wall of separation" in his correspondence with Thomas Jefferson. I look forward to Mikey's continued fight to make our military stronger and more focused on winning our nation's wars. "The morality of military action became a lifelong preoccupation." I just finished reading Five Chiefs: A Supreme Court Memoir by Justice Jean Paul Stevens. The wife and I arrived in Washington DC last night to attend his book signing, so I figured I should read it before I humbly ask the Justice to sign a copy. What I discovered reading Five Chiefs was that it is as much the work of a military officer, as it is the work of a judicial legend. In 1775, before the Declaration of Independence was signed, nineteen-year-old John Marshall joined a group of Virginia militiamen that was called into action by Colonel Patrick Henry, commander of Virginia's provisional army, and engaged in combat with British troops. He served as an officer under George Washington at Valley Forge during the bitter winter of 1777-1778. His martial accomplishments were followed by distinguished work in the private practice of law, as a member of the Virginia convention that voted to ratify the Constitution, as a United States congressman from Virginia, and as a diplomat. While those credentials clearly qualified him to become our fourth chief justice, it was his work once in office that made him our Court's greatest leader. In his book, Justice Stevens points out that Chief Justice Vinson had served in the Army in World War I, and that his good friend Art Seder (who clerked for Justice Vinson) was a B-17 pilot who had flown twenty-five missions over Germany. He mentions that Chief Justice Vinson had another law clerk, Byron White, who would himself later go on to become a justice of the High Court. We learn that Byron White had been a Naval intelligence officer who had braved kamikaze attacks in the Pacific. Still later, Justice Stevens opens his chapter on Chief Justice William Rehnquist with, "Bill Rehnquist was a meteorologist in the Air Force during World War II." Justice Stevens' deep connection to the military is further revealed in his book when he introduces his two founding law partners from his law firm days. Justice Stevens relates that one saw combat as an Army officer in World War II. The other partner served on a ship that landed grounded forces during the war, and who later played football for Notre Dame. The Justice even mentions the service of the Fighting Irish's football coach. The coach saw action on the beaches of Normandy. Justice Stevens is not just a judicial legend who served on our nation's Highest Court for the third longest period in American history, he's also a military officer who himself served during World War II. I particularly enjoyed my conversation with Senator Barry Goldwater, not just because he had been a candidate for the presidency in 1964 but also, and more important, because he was a pilot who enjoyed talking about the various military aircraft that he had flown. I received the impression that he decided to vote for me when he learned that I had my own plane. His book provides not only a glance into his jurisprudence and his views of our beloved Constitution, but also frequently reminds the reader of his love of aviation and the undeniable impact his military service had upon his life and his approach to the law. One can agree with his particular legal views or not, but the fact that he deeply cared and sacrificed for America is undeniable. In April, 1943, a coded message came across Stevens’s desk—“one eagle and two sparrows, or something like that,” he said. Stevens knew the transmission meant that an operation based on intelligence from his station had been a success. American aviators had tracked and shot down the airplane of Admiral Isoroku Yamamoto, who was the architect of the Japanese attack on Pearl Harbor and the leader of Axis forces in Midway. Stevens was a twenty-three-year-old lieutenant, and the mission, essentially a targeted assassination, troubled him. “Even at the time, it seemed to me kind of strange that you had a mission that was intended to kill a particular individual,” he told me. “And it was an individual who was a friend of some of the Navy officers.” (Before the war, Yamamoto had trained with the U.S. Navy and studied at Harvard.) Ultimately, Stevens concluded that the operation, which was approved by President Roosevelt, was justified, but the moral complexity of such a killing, even in wartime, stayed with him. “It is a little different than your statistics about so many thousands of highway deaths—that doesn’t mean all that much,” he said. “But if somebody you know is killed, you have an entirely different reaction.” The morality of military action became a lifelong preoccupation. One of Justice Stevens' former clerks, Diane Amman, also discusses how the Justice as a young officer was troubled to discover that planners were not deliberate in their decision to go along with the plan to target Yamamoto. The Justice touches on an important theme. As officers of the executive or of the judiciary, who both wield the lethal machinery of the state, it is imperative that we not blindly take action without deeply deliberating on those actions. We are members of a profession that requires a level of education, and is bound by law and has an ethical dimension. Expedience can not be allowed to excuse sacrificing the rule of law. Our law is far too important. The law, Roper, the law. I know what's legal, not what's right. And I'll stick to what's legal....I'm not God. The currents and eddies of right and wrong, which you find such plain-sailing, I can't navigate, I'm no voyager. But in the thickets of the law, oh there I'm a forester... What would you do? Cut a great road through the law to get after the Devil?... And when the last law was down, and the Devil was turned round on you - where would you hide, Roper, the laws all being flat?... This country's planted thick with laws from coast to coast - Man's laws, not God's - and if you cut them down... d'you really think you could stand upright in the winds that would blow then?... Yes, I'd give the Devil benefit of law, for my own safety's sake. ...his two most significant wartime opinions - Ex parte Quirin, rejecting challenges to their death sentences by putative German saboteurs who had voluntarily surrendered to the FBI, and In re Yamashita, upholding a military tribunal's death sentence imposed on a Japanese general because of atrocities committed by soldiers under his command - may have bent the rule of law in response to perceived military necessity. As Justice Antonin Scalia correctly observed of Ex parte Quirin in his fine dissenting opinion in Hamdi v. Rumsfeld (2004), "The [Quirin] case was not this Court's finest hour." It is my opinion that in our modern world, with our great many security challenges, that Justice Stevens stands as a gigantic role model to all military officers. His example reminds us of the need to be deliberate as we exercise the enormous responsibilities entrusted to us. He writes in his book, "In our democracy, issues of policy are determined by majority vote; it is the business of legislators and executives to be popular. But in litigation, judges have an overriding duty to be impartial and to be indifferent to popularity." In my opinion, his example applies to military officers as much as it does to federal judges. Both are required by the Constitution to take an equally binding oath to that same document, and both command the violent machinery of the state. Personal popularity, advancement, and personal convenience must not be allowed to interfere with that solemn burden. Those of us serving should strive to emulate Justice Jean Paul Stevens' example; legend of the judiciary, and faithful military officer. Update: just got back from the Justice's talk with Judge Tatel. It was excellent. To tie into the theme of this blog post, the Justice did mention tonight that he thought diversity of background in Supreme Court justices was a good thing for the Court, instead of just Ivy League educations, and specifically mentioned military service, which the High Court no longer has since his retirement.